Powerfully built tools like advanced remote access control, system manager, Wake on LAN, remote shutdown, remote file transfer and more enables elite remote support experience and considerably reduces troubleshooting time from days to minutes. Reachout to all the computers in your corporate network irrespective of their location. Examine all your network peers effortlessly and diagnose the actual cause of every hassle. 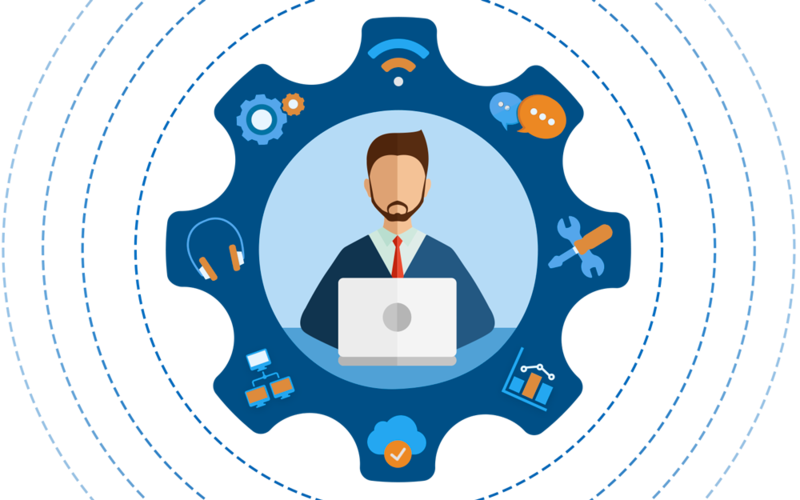 Bring technicians together and troubleshoot each issue as a team with eminent people. Resolve issues in seconds with powerful tools and never bump heads with employees work flow. Support your network computers on the go. HIPAA compliant remote desktop management software to assist Windows, MAC and Linux computers with 10+ top notch features. Remotely manage process and services, access command prompt, registry, manage users, files, shares, printers and, more. Instantly collaborate with technicians and users. Voice, video and text chats to remotely assist any technician or user in each troubleshooting step and enable seamless remote assistance experience. Instantly turn remote computers ON. Get a detailed agent status and boot-up remote computers that are down on-demand, individually or in bulk in just clicks. A smart component that can cut down your running costs. Get to know the live computers with zero active users and remotely turn them off, lock or put to sleep, individually or as a bulk. Perceive audit ready real-time reports. Maintain records on the tasks performed using Remote Access Plus and gain complete visibility over the initiated remote sessions, chat history and registry value exports. Fully-functional, perfect for small businesses. Advanced Remote Desktop Access for troubleshooting. Complete remote computer access with 12+ troubleshooting tools. Can't decide which plan is right for you? See our complete edition comparison matrix.